Alicante Hostels Alicante is a good start off for exploring the rest of the Costa Blanca in Spain. Here is a list of local hostels in this area. Rooms are decorated with colourful finishes and have access to shared bathrooms. Bed linen is included and rooms are wheelchair-accessible. 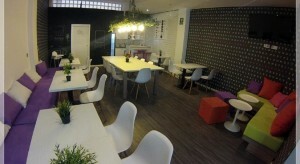 X Hostel has an equipped kitchen which guests can use and a breakfast is available at an extra cost. Staff also organize weekly pub crawls. 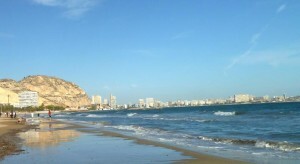 Alicante Beach is a 20-minute walk from the hostel. Shuttle buses to Alicante Airport take around 20 minutes, and Alicante Bus Station can be reached in around 15 minutes’ walk. Alicante Hostels 4 your next trip. Air-conditioned and heated, all rooms have free WiFi and lockers. Shared bathrooms are located either inside or outside the rooms. Towels can be rented on site. Guests can make use of the shared kitchen and there is a vending machine selling drinks onsite. The closest supermarket is 650 metres away. Alicante that modern thriving city in the south of the Comunidad Valenciana, and the capital of course of Alicante province. Situated about 160 kms south of Valencia City, it a very important tourist centre, has a resident population of just less than 350,000 people, a busy brand new recently renamed Ellche- Alicante Airport. And a port area frequently used by cruise ships and ferries as well as by a certain amount of commercial traffic. Foreign tourists coming to the Costa Blanca resorts will frequently use Alicante as their arrival point in the country, and transport links from the town are improving all the time, especially with the development of the railway network in the region. The town itself is dominated by the Castle of Santa Barbara on top of Mount Benacantil, which also is home to El Ereta Park, running down from the castle to the old town. Indeed, Alicante has many fine parks, open spaces and walkways, the most famous being the Esplanada de Espana which is one of the loveliest tree-lined promenades in the entire country. On the other hand, if you are looking for more lively entertainment, Alicante has a wide selection of bars, restaurants and clubs to choose from, as well as beautiful beaches for that special summer tan. If culture is more your thing, Alicante has a fine theatre (Teatro Principal) where concerts, dance, opera and other cultural festivals are staged. And of course no self-respecting Spanish town would deny itself its fair share of fiestas during the year, and Alicante is no exception. The main ones to look out for are the February carnivals, Easter processions, the Moors & Christians fiesta, and particularly the Bonfires of St John (Hogueras de San Juan). This takes place from June 20 – 29 and involves the burning of wooden and papier-mache statues, fireworks competitions, flower offerings – pretty much all the ingredients to be found in the best Spanish fiestas! So don’t just think of Alicante as the place on the destination board at your departure airport in the UK. With its fine hotels, interesting sights, a wide range of entertainment and beautiful beaches, Alicante really does have something to offer every holidaymaker thinking of coming to the Costa Blanca.